Kairos. 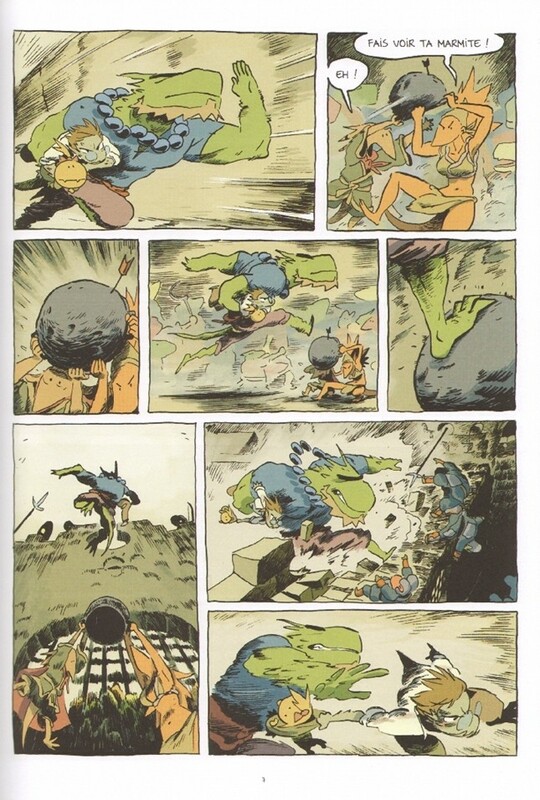 Tome 3, by Ulysse Malassagne. Roubaix, France, Ankama Éditions, January 2015, hardcover €11.90 (64 pages), Kindle $7.99. Thanks once more to Lex Nakashima for getting this from Amazon.fr and sharing it with me. This is in French, but it’s mostly cartoon artwork. Since there’s no sign of an English-language edition, here is the French original. And so the saga is over. To recap, Niils loves the mysterious Anaëlle. During a camping trip in the French countryside, she is kidnapped by dragon knights and taken through a dimensional portal. Niils follows them into the anthropomorphic dragons’ world. 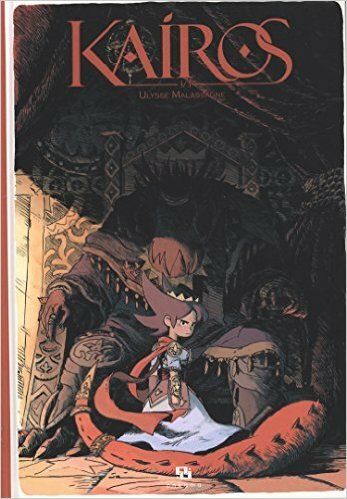 In t.2, it turns out that Anaëlle is the dragon kingdom’s princess; she escaped into our human world and took on a human form to escape a forced marriage to her own father; she was tracked down and seized by the dragon knights to fulfill her destiny; Niils goes after her and finds that the dragon commoners are ready to revolt against their royal family; and he leads a revolution even while he is turning into a dragon himself. I have been impressed with Kairos ever since Malassagne made his own animated trailer for it at his La Cachette animation studio and posted it on YouTube. Now all three hardbound albums are out. What will Malassagne do next? He has already begun Jade, which isn’t anthropomorphic but is very good. Check it out.